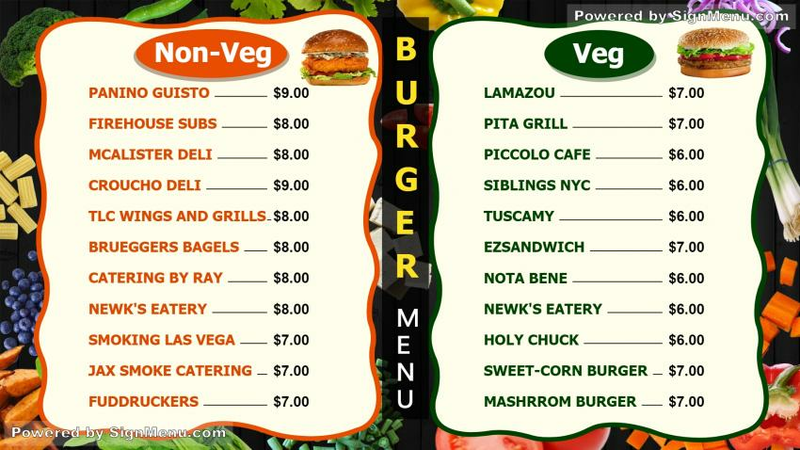 This multi-colored template is best presented on a digital menu board indoors or just in front of the restaurant. Fast food restaurants worldwide have started adapting to digital menu boards to enhance their point-of-purchase sales. Installation of digital menu board is easy and cost-effective. Further, digital software enables updation of menu board content anytime, anywhere. This template is ready for download and use.